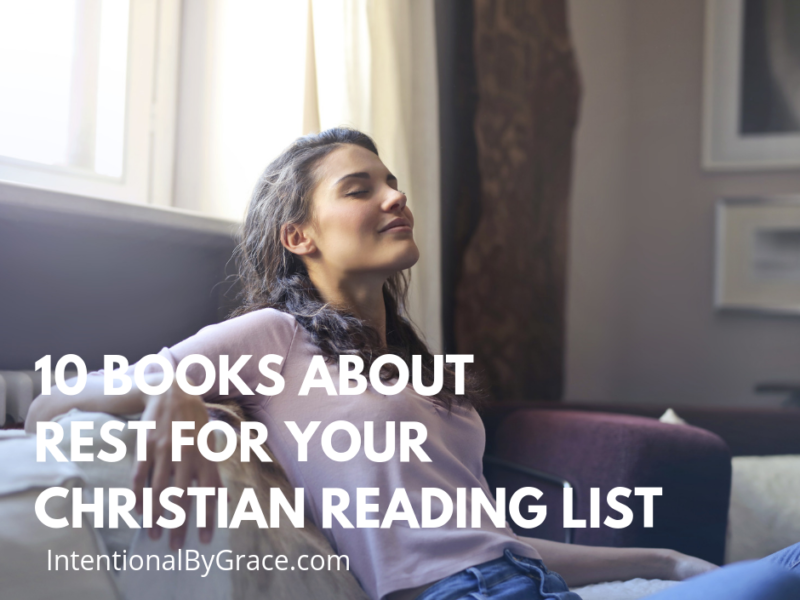 Are you looking for books to add to your Christian reading list? 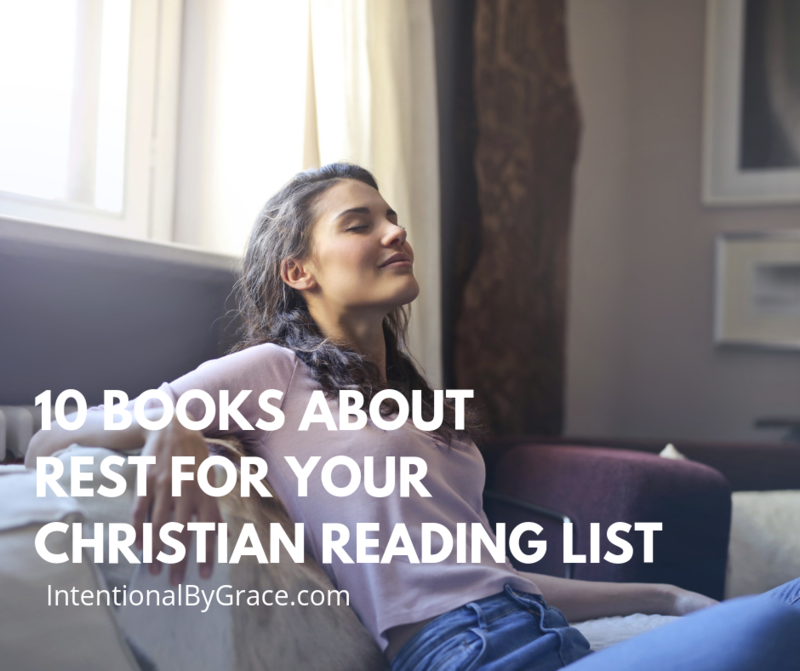 Today’s post will help you add books about rest to the stack! This is one of those topics that as women we need to talk more about. As women, we were made to give life; therefore we need to understand the rhythms of work and rest. 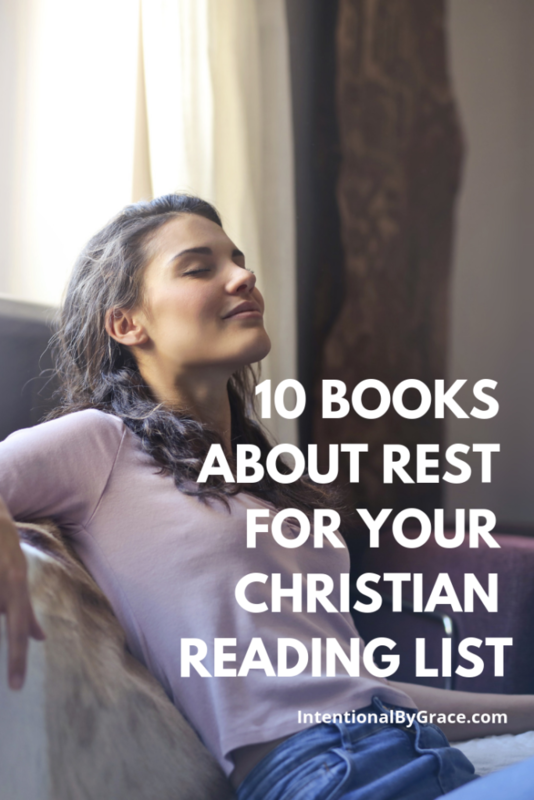 Therefore, today we’re sharing 10 books related to the topic of rest that we mined out of the sea of Christian reading material to help guide you into a deeper knowledge on this topic. So many parents (mainly mothers) who have taken up the challenge of homeschool find the enterprise often full of stress, worry, and anxiety. 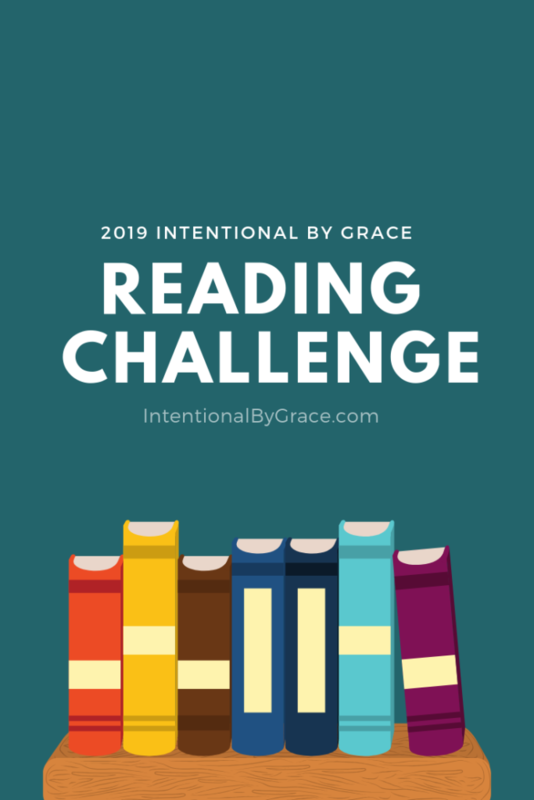 In this practical, faith-based, and inspirational book, Sarah Mackenzie addresses these questions directly, appealing to her own study of restful learning (scholé) and her struggle to bring restful learning to her (six) children. Ultimately, this book is an invitation to those who long for rest but don’t know how to make it a reality. Sabbath is a gift from God to be embraced, not a spiritual hoop to jump through. In Soul Rest, Curtis “CZ” Zackery reveals how our misaligned view of rest has its roots in an identity that is out of rhythm with God. Taking steps toward understanding Sabbath in the way that God intends can dynamically affect every aspect of our lives. This thoughtful reflection on rest calls us to the hard work of self-examination, helping us move towards a purposeful and sustainable life with Jesus. This refreshing book invites the reader to experience the wholeness and joy that come from observing God’s order for life—a rhythm of working six days and setting apart one day for rest, worship, festivity, and relationships. Dawn develops a four-part pattern for keeping the Sabbath: (1)ceasing—not only from work but also from productivity, anxiety, worry, possessiveness, and so on; (2) resting— of the body as well as the mind, emotions, and spirit—a wholistic rest; (3) embracing—deliberately taking hold of Christian values, of our calling in life, of the wholeness God offers us; (4) feasting—celebrating God and his goodness in individual and corporate worship as well as feasting with beauty, music, food, affection, and social interaction. 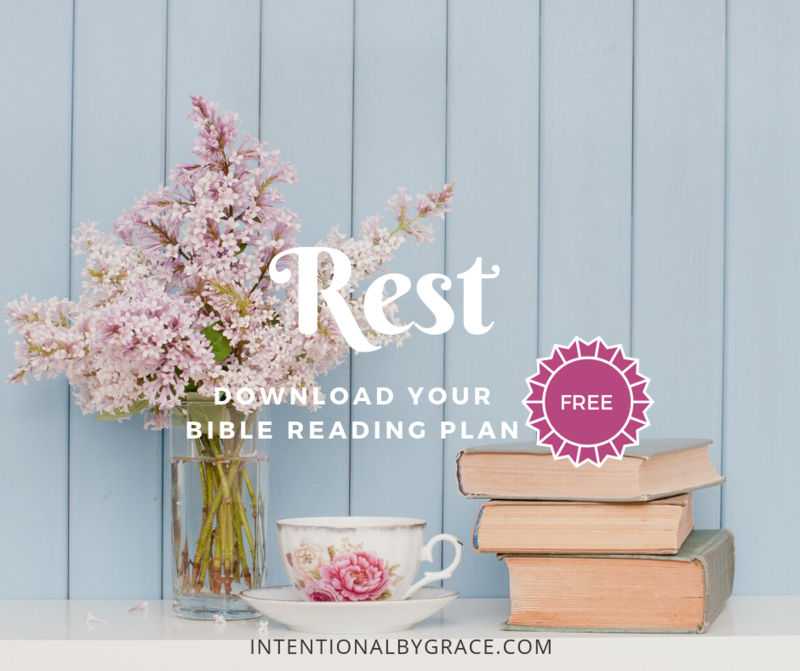 Do you want to learn about what God’s Word has to say about rest? Then click here to download our FREE Topical Bible Reading Plan on Rest.